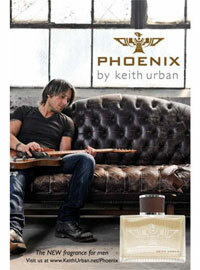 Phoenix by Keith Urban, his debut fragrance was launched in September 2011. 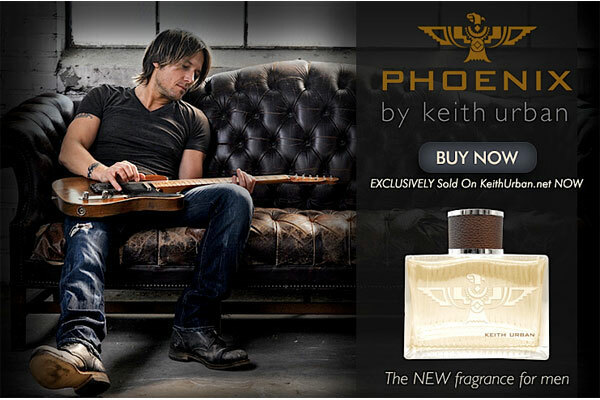 This woody oriental fragrance created by perfumer, Loc Dong, is described as "a profoundly rich, masculine scent... infused with blackberries, cognac and plum." Available in 1 and 1.7 oz. 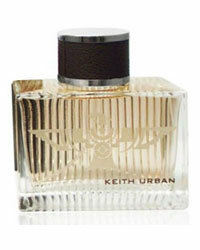 Cologne Spray $24-48.